I am a 3-time CEO, serial entrepreneur & Founder of Baja Ventures. I co-founded Technology, CPG and Energy Companies. I am a corporate governance expert with an eye for making boards a competitive asset. My corporate board experience is vast and covers multiple industries. I bring a contemporary knowledge of Digital Technology to reduce costs, drive efficiency/productivity; using AI Machine-Learning Analytics to streamline processes, engage consumers and drive growth. I have more than 20 years of experience as a CEO, and in C Suite positions in global, large-cap organizations and have served on over 27 public boards and been through 13 IPOs. 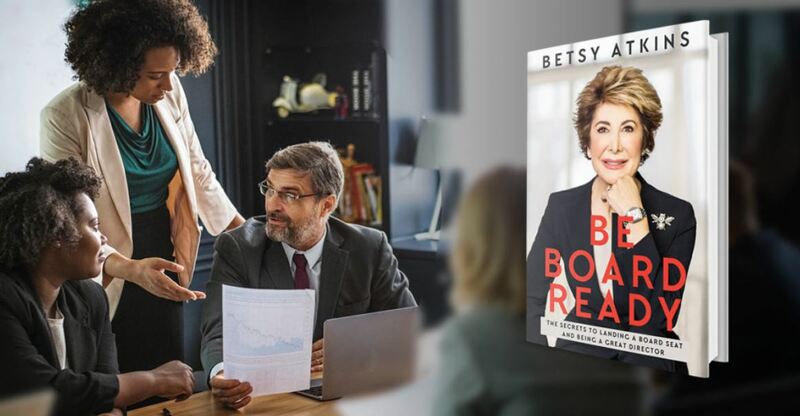 This motivated me to capture my experiences in this book, which I was inspired to write for all of the people who are talented, capable, and deeply interested in learning about what goes on in the boardroom and in joining a corporate board. Today more than ever, boards are opening the aperture of who they think is “board ready” to add thought diversity, gender diversity, global diversity, functional diversity, and generational diversity. I wrote this book for aspiring directors who want to join a board for the first time and get some tips and insights on how to be a great director, contribute, and add value in the board room. I think the role of the board has changed over time from traditional backward-looking oversight to an engaged asset to help move the business forward. I have broken down the book into three sections. The first section of the book gives you a flavor for all of the different things you should do to create your personal brand, to position yourself to successfully land a board seat, and then to add value. The second section is on how to actually lead the board as either a chairman, lead director, or CEO, and how to get the most out of your board. The third section is a selection of some of my previously published articles that I’ve adapted for this book to illustrate some of the challenging and incredibly fascinating topics that come up in the boardroom that no one can teach you that you have to experience for yourself. Developing your own personal brand and personal positioning is a very important first step in the process of finding the right board for you. Develop a bio and always tailor it to your audience. Fine-tune your expertise and your differentiation. In order to get on the radar of a potential board, you need to be disciplined. Your personal network will get you your next board interview, so you need to care for and grow your relationships. Invest time in building your personal network. Take advantage of search firms, turnaround consultants, and activists. Set the ground rules for your board’s engagement early. Specifically, tell your board where you want input each meeting. Your longevity as CEO is directly tied to your board. If you haven’t selected at least one-third of your board within 18 months, statistically your term will be less than five years. Determine who on your board are the leaders, gain their support, and engage them on a more regular basis to ensure your longevity as CEO. Set the precedent that each year members will be assessed for fit and the needs of the company going forward. I hope that these takeaways, learnings, and insights will be applicable to you as you go forward in your career, join your first board, contribute further to your current boards or lead a company as a CEO, Chairman, or Lead Director.